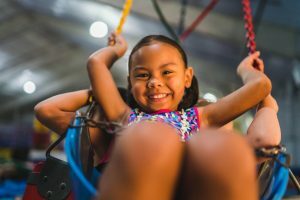 Emerald City Gymnastics | Kansas City Family Favorite! We offer many different activities to keep your children moving and happy. We offer gymnastics from walking all the way through to competitive USAG level 10 on both the men’s and women’s side. Our team program has had great successes locally, regionally and nationally. We have a structured gymnastics class program, that will put your child in the proper class based on their age and skill level, with options to move up once certain skills are attained. 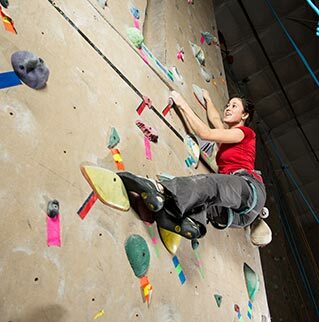 We also offer Kansas City’s largest indoor rock wall, Monster Mountain. We offer public climbing hours every day of the week and we also have rental equipment available for the new climber. We have a team program that travels around and competes against other rock climbing gyms in the region and has shown great success. We also have one of the greatest birthday party experiences in the city. People have been coming to Emerald City for their parties for over 20 years and are now bringing their children here to have the same great experience they had when they were young. We have multiple open play times for children that are always listed and updated on our website!